We would kindly ask parents to donate any uniforms that are no longer needed in your household, so they can be upcycled for other students use. These items should be washed and in good condition. Any items of uniform are required: Jumpers, Ties, Shirts, Trousers, Pinafores, Skirts, Tracksuits, Shorts, T-shirts. Please drop items into the Halla by Thursday the 22nd of June. Items will be on sale on Tuesday the 27th and Wednesday the 28th June. A small donation towards the school will suffice as payment for items purchased. The parents association would like to thank you for your support on this matter and hope that you will benefit from this service. Check out the picture of the Cork City Sports Team with all their trophies in this week’s Carrigdhoun. 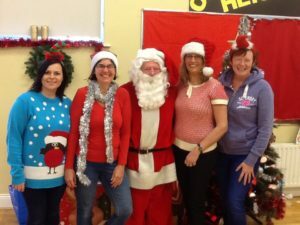 Huge thanks to all Parents and Children supported our fundraising events including the cake sale, table quiz and cloths collection last term, through your hard work and generosity the school raised a fantastic €1718.00 !!!! This money will be used to help fund the sixth class residential trip and buying resources for the children. Our next clothes collection is Wednesday 7th June so please bring any bags to the Halla. We are happy to accept clothes, paired shoes, bags, belts, curtains, duvet covers and pillow case covers and all in wonderful condition. However we are unable to accept end of life clothing, duvets, pillows and bric a brac of any kind.Our clothes are recycled by the National Council for the Blind. Friday June 9th Shanbally NS will be having a Cancer Research Charity Walk (during the school day) furthur details to follow. We would like to congratulate all the girls and boys that recently made their Holy Communion. We would also like to thank all the sandwich makers and bakers for their delicious food and those able to help at the reception to make it special for the children and their families. We would also like to acknowledge and thank Richard Murphy and his employer Pat the Baker who provide the sliced pans for the sandwich making. We have had a busy few weeks and there are two fundraisers happening in March. Thank you for the delicious cakes and for your support. We raised a fantastic €750 due to your generosity. Thank you to the businesses donating these prizes. Our annual table quiz will be held in the Ferry Boat Inn on Friday 3rd March at 8.30 pm. It is always a fun evening. The price is €20 for a table of 4 and teams can be made on the night. Please return your entry forms to school as soon as possible..
€50 Lidl voucher, €25 High Street Books voucher, Origin Hair voucher, Pitch and Putt family pass Raffeen Creek and many more. Our next clothes collection is Tuesday 7th March so please bring any bags to the Halla. We are happy to accept clothes, paired shoes, bags, belts, curtains, duvet covers and pillow case covers and all in wonderful condition. However we are unable to accept end of life clothing, duvets, pillows and bric a brac of any kind. Our clothes are recycled by the National Council for the Blind. 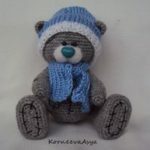 Our Facebook page had pictures of all the resources that have been bought for the children from the proceeds of the Pedal Cycle and there will be more orders placed soon. The money raised from the quiz night and the clothes collection will go towards the costs for the communion and the 6th class leaving trip. We hope you will find this newsletter useful. Please see below for our upcoming events from now until March. As always your support is very much appreciated. Following the success of last year’s competition and after many requests, we are holding our Get Creative Competition. Specific Information – Lego creations should not be any larger than A4 in size. Photo, drawing or painting, this can be either portrait or landscape, but should not be any larger than A3 in size. To comply with school guidelines, we would kindly ask that photos do not contain images of children. Label – please ensure that your child’s entry is identified with the child’s name and class. 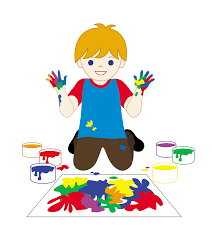 When to bring your creations to school- Entries will be received at school from Wednesday 8th Members of the Parents Association will be in the Halla and will receive entries from the children. Entries will be accepted up until 9.00am on Thursday 9th February. Late entries will not be accepted. We are always looking for suggestions and new ideas. We would be delighted to hear from you. The Parents Association will host our Annual Valentine’s Day Cake Sale on Friday 17th February. Cakes will be on sale in the Hall from 9.00am. Cakes are priced at 50c. We would ask that donated cakes for this event not contain nuts or nut flours. Family swimming pass for LeisureWorld in Bishopstown. You are invited to the Shanbally NS Table Quiz on Friday 3rd March at the Ferry Boat Inn, Ringaskiddy @ 8.30pm. Teams of 4 are needed. The cost per table is €20.00 (€5.00 per person). We will send an entry form home shortly. There will be a raffle on the night. Always a great evening!! Spring is in the air. A great time to declutter and donate unwanted clothing, shoes and bags to school. Donations will be accepted to the halla from Thursday 2nd March. We will not be in a position to take end of life clothing, duvets, pillows or bric-a-brac. On Friday 10th February we will be holding a Free Raffle all families will be entered. The winners will win a Family Pass for Cork City Football Club for the Presidents Cup Match on Friday 17th February @ Turners Cross. Welcome to the first newsletter of 2017. We hope you all had a nice break over the Christmas holidays. First of all, a big thank you to all who attended, donated and participated in our Pedal Cinema. We were amazed by the support, the generosity and the effort families put into raising money. The event exceeded all expectations and raised a fantastic €7015. This money will be spent on much needed educational materials for the school. There will be no charge to enter and each child can enter once per category. On Friday 17th February we will be holding a Valentine theme cake sale. On the last day of term we are holding a free raffle with fantastic prizes. There will be one ticket per family. The clothing collection will take place on Tuesday the 7th of March and Tuesday the 6th of June. Please keep us in mind if you are de-cluttering your wardrobes. All clean unwanted clothes, bags, shoes (pairs only), books, bed linen (no duvets and pillows) can be donated. We really do appreciate all the clothes donations. The last collection had over 100 bags and raised €687 so every bag counts. Tracy Crotty from the Parents’ Association sorts and displays all the second hand uniforms that are donated to the school. There are a variety of school shirts, trousers and pinafores and some small sized track suits and jumpers available in the Halla. Please feel free to take anything you need. 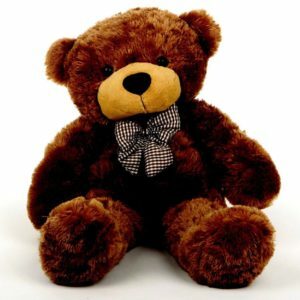 If you have good quality outgrown uniform to donate please give it to a member of the PA or hand it into the office. Many thanks for your continued cooperation. Hope everyone had a lovely mid-term break. Just to recap on some of our past events and to inform you of our upcoming events. 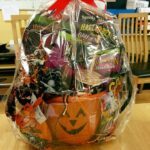 Halloween Cake sale – So much fun was had by all and a whopping €721.00 was raised. Clothing collection – Thanks to everyone for donating all the unwanted clothing. We are delighted to announce that €660.00 was raised. Pedal powered cinema night. – November 25th 2016. We have had great interest in the pedal powered movie night. These are the ways that you can help. Be a cyclist – Please return your form to the school by Thursday 17th November. (3) Do both. The more we make the more we have to put back into the school for you as families and all the fabulous pupils. We have set up a gofundme page on which you can donate at and we ask you to SHARE SHARE SHARE this link with all your family and friends who may live far away but who would like to donate. We are asking local companies to sponsor a bicycle for €50. This is a great advertising opportunity, where your name/ company name and details will be displayed at the event, on our school website and Parents Association Facebook page. If your company would do this or you know anyone who would be interested please let a member of the Parents Association know or use the gofundme page. Santa Visit – The Parents Association are organising a special visitor with a present for each child in the last week of term. So what exactly does the Parents Association do and where does all the money go? My family are new to Shanbally National school so in September I decided I should pop into the Parents Association meeting and see if I could learn a bit more about this school and lend a hand if needed. Let me begin by saying the parents association are a very passionate group of individuals. They give up their spare time to ensure that their children and your children have great opportunities during their time in this school. I could not believe the passion that comes from these individuals. Many evenings are spent brain storming to come up with novel fund raising ideas to raise funds for things that will benefit the children. So far this year some of the things we have paid for include skipping ropes for the school and the balance for the bus trip to Mayfield for the Sciath na Scol final. The €5 that was requested from each child towards the transport and entrance to the game simply wasn’t enough to cover the cost of the bus. Before I joined the parents association I would never have known that the bus could cost €750.00 to drop the kids to the match. It’s when you hear things like this you realise how, without the fundraising from the Parents Association outings like this for the children would not be feasible. I cannot stress enough the dedication that these parents have for this school and its pupils. Rain hail or shine they are working away behind the scenes. As I sit here typing this I am aware that back at the school there are a number of the Parents Association out in the lashing rain loading the clothes collection bags onto the truck to raise more funds. The Halloween cake sale was a great success we raised €721 and the children absolutely loved it. It was my first time at the Shanbally cake sale and when I saw the beaming faces on the kids I realised exactly why these ladies work so hard to raise funds for these wonderful children. The cake sale was full so of happiness and innocence you couldn’t help but be uplifted by the kids excitement. This year after lots of deliberation (and I mean lots & lots of back and forth & multiple WhatsApp conversations) it was decided that the Christmas bazaar would not go ahead. Instead Shanbally, for the first time ever will host a cinema night “powered by pedal power”. This I’m sure will entertain both the kids and parents alike, and once again I think we should spare a thought and give thanks to the Parents Association for all the work that is going into planning this event. You might wonder what all the money that’s raised is used for, well each year the school comes up with wish list that would benefit the kids e.g. this year we hope to purchase new maths kits, trundle wheels, money kits etc., Standardised Testing Manuals and Irish reading books for the library. I guess my reason for including this information in the newsletter is to make you all aware of the fabulous parents association that we have behind us here in Shanbally and I wanted you all to know how well they are taking care of your children’s interests. It’s very easy to forget that so much work goes into raising money, coming up with new ideas, sourcing spot prizes, setting up, manning and cleaning up after events. Your continued support for the various fund raising events is greatly appreciated. Sponsorship cards have been sent home with your child this week, for our Christmas Fundraiser, the Pedal Powered Cinema. Our aim is to raise €6,000 of funding for the school from this event. It is important to note that there will not be a Christmas Bazaar this year. 1. Date/ Time/ Venue – Friday 25th November @ 6.45pm, Rafeen Creek Sports Hall. Film starts at 7pm sharp. 2. Sponsorship cards have been sent home with your child. There will be 1 sponsorship card per household. Return sponsorship cards to school by Wednesday 23rd November. 3. We are looking for cyclists for the night. 55 in total with a mix of Parents, Past Pupils & 5th / 6th Pupils. If you are available to cycle please return bottom section of flyer by Thursday 17th November. The Pedal Powered Cinema will release the data from the night, distance travelled and power generated and we will be able to use this towards our Active Schools Award. We are very excited to share this incredibly novel experience with you and are really looking forward to seeing your family on the night. 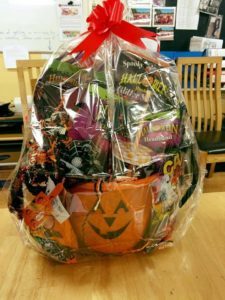 Raffle tickets are on sale from Monday, October 10th at school. They cost €1:00 for one strip and this is a photo of is one of the prizes. Winners will be drawn on Friday, 14th October. Good luck to all! !